It is important integrate an efficient payment gateway within your website to improve the credibility of your website. An unsecure and faulty payment gateway can scare away your customers. V1 Technologies offer the best Barclays ePDQ CPI Integration in UK to allow our clients offer a seamless shopping experience for their customers. At V1 Technologies, our team of proficient programmers offer a full range of Barclaycard ePDQ Integration services to make it easy for you to run your business smoothly. Whether you want to integrate a payment gateway in a new website or migrate your old payment gateway to a new server, we offer all kinds of services. Barclaycard ePDQ? - You're Sorted! 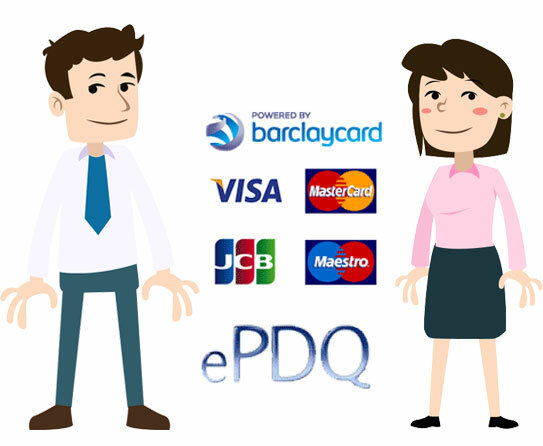 Barclays ePDQ is one of the well known and most reliable providers of Internet-based transaction services. Programmers at V1 Technologies have a vast knowledge about how Barclays ePDQ works and thus we have the capability to handle all kinds of complexities that might arise out of Barclays ePDQ CPI integration. We offer top class payment gateway integration services to make sure your customers are safe and secured while performing online transactions. No matter what your requirements are we will offer the best solutions for you.